The i3 is a bold statement about where BMW thinks electric vehicles are headed. If an electric car offered the same driving range as a gas-powered car, many people say they'd consider switching. For those buyers, BMW takes range anxiety off the table by adding a gas-powered range extender engine as an option to its unique i3 subcompact. The i3 was introduced for the 2014 model year along with the hybrid BMW i8 exotic sports car. Over 25,000 i3 models have been sold in America since then, making it a success for BMW. The German automaker has stated its intention to keep the i series as a separate sub-brand for electrified vehicles, so don't look for too much similarity between these vehicles and conventional BMWs. The i3 comes as a strict EV with 114 miles of range. With the optional range extender, you can expect 97 miles of all-electric range, followed by 83 miles of gasoline-generated additional range, or 180 miles of range on a full charge and a full tank. In practice, you should use the gas engine only on long trips. Most Portlanders will be able to drive the i3 for the better part of a working week before they need to charge it up or rely on the gas engine. 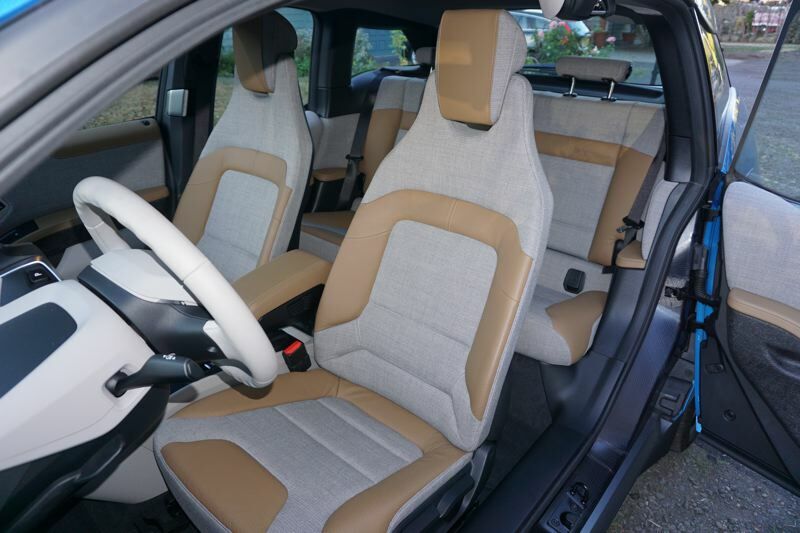 The best part is that driving the i3 is enjoyable, and I would say it's a giggle. 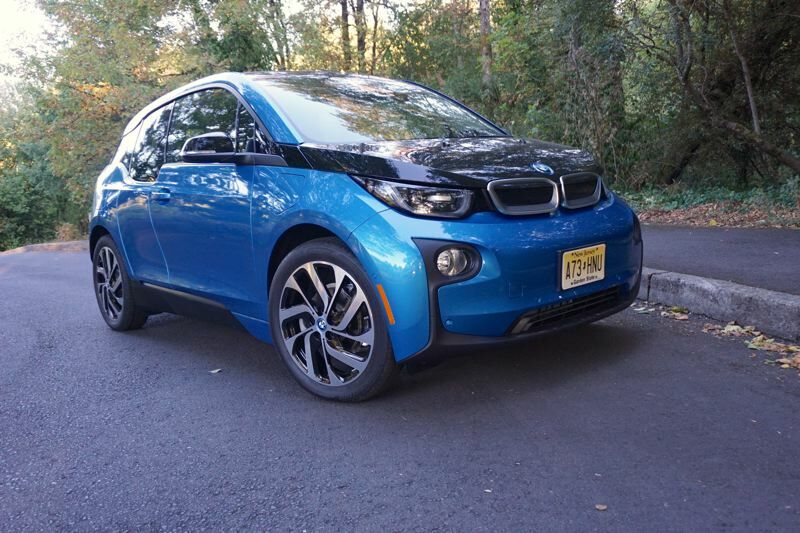 The i3 delivers impressive acceleration from its modest 170 horsepower and 184 pound-feet of torque. But the i3 is not going to be everyone's cup of tea. It has quirks that you'll need to get used to. Chief among these is the way the accelerator pedal works. In a conventional car, the accelerator really doesn't control speed as much as it modulates engine power. In the i3, with a little delay for acceleration, the pedal does control your speed. If you lift off the pedal entirely, the i3 does not coast — it slows right down and stops. With practice, you will rarely touch the brake pedal. 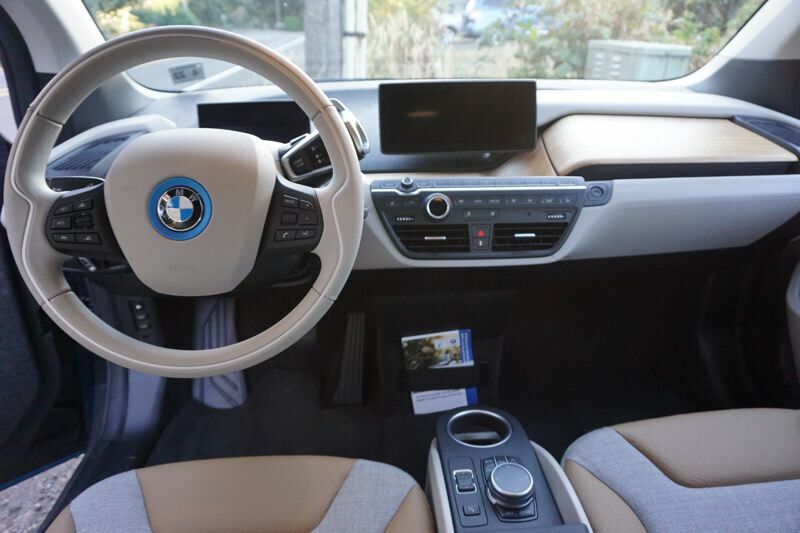 Inside, the i3 reminds you that you chose the futuristic option. 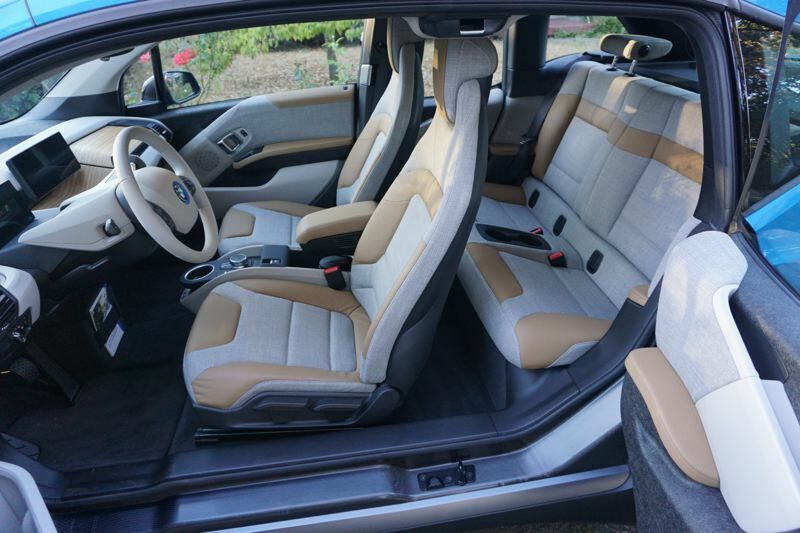 From the reverse-opening rear doors to the living-room arrangement of the wood, plastic, and cloth dashboard and trim, the i3 is again unlike other cars. You will either like it or you won't. I was on the fence for a few days, but finally decided that I'm OK with the interior design. It's unusual but then again, so is everything else about the i3. You have to respect BMW, because they didn't make an electric version of another car in the lineup, and they didn't follow in anyone's footsteps. The i3 is a bold statement about where BMW thinks electric vehicles are headed. Judging by the robust sales performance, many people agree. The only way you'll know for sure is to head to your local BMW dealer and see it for yourself.